Did God Really Ask Abraham to Sacrifice His Own Child? This is a tough passage to preach on. It’s one of the most iconic stories of the Bible – the time that Abraham and Isaac went up to that mountain, and Abraham only thought only one of them was coming back. God told Abraham to take his son up to the mountain top. He told Abraham to take wood, and fire. He told him to kill Isaac and burn his body as an offering. This was the command of the Lord, and it’s clear that Abraham would have gone through with it. If you google “Isaac and Abraham sacrifice” and do an image search, there’s no shortage of paintings and drawings. Renaissance art is full of paintings depicting this scene, the moment that Abraham lifted the knife to take the life of his son, only to have God intervene. Some of this art is better than others. The best of these images focus on the drama unfolding between Abraham and his son. Isaac, laid out on the pyre. 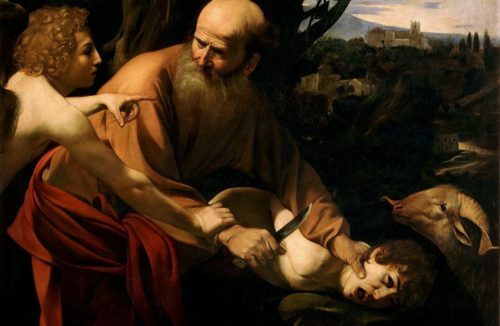 Abraham, holding the knife and gripping his son by the back of the neck. There must have been a struggle. Our text this morning leaves a lot to the imagination. It’s not very detailed, and you can read it a lot of different ways. It’s possible to read this story and imagine Isaac as innocently confused, but obedient. His father told him to lay down on the wood, so he did. His father pulled out the knife to take his life, and Isaac accepted it. Abraham, for his part, conducted himself with simple obedience and calm. He didn’t start crying, he didn’t lose control. He didn’t shout or lay hands on Isaac. He just obeyed the command of God, and so did his son. But I know that’s a lie. Or, at least, I hope it is. Because if that were true, if Abraham was psychologically prepared to murder his son with no displays of emotional conflict, that would make him something less than human. And Isaac – what young man, what human being accepts a violent death at the hands of a loved one without a struggle? Without horror? Without desperate cries for mercy and tears of disbelief? 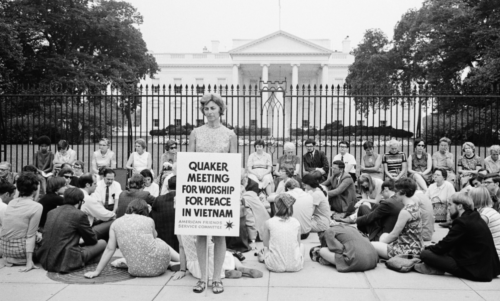 There are images that present Isaac and Abraham as dutiful pawns in God’s strange chess game. In these paintings, the two of them are placid, serene, looking only to God. I know that these images must be false. I can feel it in my bones. When I look at these peaceful depictions of this violent event, there’s no soul, no humanity. Abraham becomes a monster, and Isaac a bovine creature with no real human spark. Lost is the Abraham who argued with God over the fate of Sodom. He convinced God to spare the city for the sake of just ten righteous people. Couldn’t he be bothered to argue for the life of his own child? And not just any child. The heir of the promise. This was the child that God had promised Abraham for decades. The miraculous boy who was born when his parents were far beyond the age of child-bearing. Isaac was the living proof of God’s faithfulness – his intention to make Abraham into a great nation, to make his offspring as numerous as the stars. Isaac was the tangible substance of God’s relationship with Abraham and Sarah. But more important than any of this, Isaac was Abraham’s little boy. He wasn’t just a means to an end. He was a real person, a child. And Abraham loved him. I think of my son, George. I think of what it would mean to me if I thought God was asking me to kill my son and burn his body. Forget the promise. Forget great nations and offspring as numerous as the stars. This is my son, whom I love. I’d rather die than do to George what God told Abraham to do to Isaac. What kind of psychopath says “yes” to a request like that? But more importantly, what kind of God would ever make such a request? And for what? To test Abraham’s faith? To be sure that he was really committed? What kind of friend would test a relationship like that, much less the most high God, creator of the universe? There’s a long tradition of not taking this story literally. And that’s good. Because honestly, it’s just too horrifying. Who could worship a God like that? So this morning, I want to continue in that tradition. I want to invite us to experience this story as an allegory, as a narrative that opens up a moral dimension to us that is simply not accessible through anything less than a shocking but true story. None of this diminishes the horror of the story. What God asks of Abraham is unfathomable. But in this ancient horror, we are also given a mirror into our own spiritual condition. We can find ourselves in the experience of Abraham, and that of Isaac. We can recognize in them our own challenges, our doubts and fears. The existential dread that stalks us. When I heard this story, I’m forced to ask myself: What does it mean to sacrifice my Isaac? Because again, for the purposes of this allegory, Isaac is not merely a beloved child. He is the instrument of God’s promise. He represents everything that Abraham understands about who God is and how he is in relationship with God. Isaac is the most fundamentally important thing in Abraham’s life. Without Isaac, Abraham has nothing to hold onto, nothing to assure him that God really cares for him and has a plan for him. So for God to demand that Abraham sacrifice Isaac – well, it just doesn’t compute. It’s like a snake eating its own tail. How can God ask Abraham to end the very life that demonstrates their relationship? It’s as if a husband said to his wife, “if you really love me, you’ll throw away your wedding ring and move to another city.” This request doesn’t make any sense. That’s pretty deep. Because to be honest, most of the time, I want God for his gifts. I want him for his presence and power in my life. I want him because he helps give my life meaning and purpose, a sense of perspective beyond myself. The story of Abraham and Isaac has often been taken as an analogy for Jesus’ willingness to die on the cross, in submission to God’s will. In this view, God is often seen as represented by Abraham – the sacrificer – while Jesus is represented by Isaac, the sacrificed. But this is a backwards view of things. During his struggle in Gethsemane, his torture by the religious and imperial authorities, and his death on the cross, Jesus found himself in the position of Abraham. Like Abraham, he was forced to abandon everything in this world that gave him assurance of God’s love. Jesus had to accept absolute risk. On the cross, Jesus sacrificed the “Isaac” of his earthly ministry. He experienced terrible grief and failure. He experienced the absence of God, the loss of the promise. In that moment, all of his work was for nothing. It all ended on that nihilistic cross of suffering and shame. We’ve heard a terrible story this morning. It’s a story of a father’s love for his child – his hope, his future – being overcome by his greater desire to be in relationship with God. It’s a story of cutting loss and heartbreak. It’s a story about how each one of us must move beyond assurances and guarantees if we want to experience the full depth of relationship with God. This is a story about Abraham seeking a truer, more authentic faith. Beyond pleading and promises. Beyond rewards. Abraham gives himself to God unconditionally – even if it means the loss of everything else, including his ideas about God. Our scripture this morning is an invitation to self-examination. What are the ways that we have turned our faith in God into a transaction, rather than full submission? Do we love the gifts God gives us more than we love God himself? What are we being called to surrender, so that we can be more fully embraced by God? What does it mean to be like Jesus, who let go of every guarantee, every promise – even the promise of God’s presence and protection – in order to live in the naked reality of God’s kingdom?